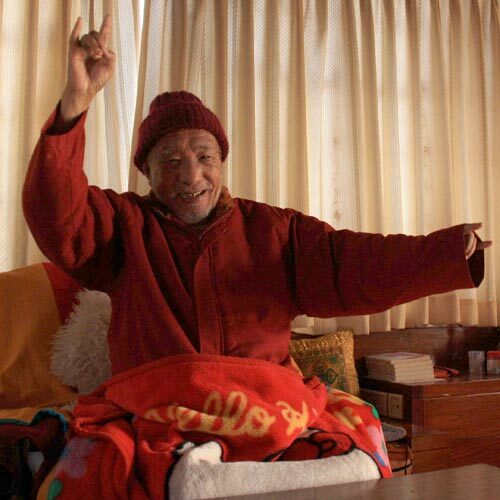 Student: Could Rinpoche say something about the term "self-arisen"? I am more familiar with the term "self-liberated." KTGR: Self-arisen means self-liberated [laughter]. Any phenomena whatsoever is the true nature of the energy of mind. Therefore, it is self-arisen and self-liberated. It is like a wave in the ocean. Where does the ocean's wave come from? The ocean. And when the wave dissolves, what does it dissolve back into? The ocean. Both when it arises and when it dissolves, the wave is the ocean itself. Similarly, when any phenomena arises, it is the true nature of mind itself. And when it is liberated, it is the true nature of mind itself. Khenpo Tsultrim Gyamtso Rinpoche, The Melody of Dharmata - Verses on the Profound View of the Middle Way, Vajravairochana Translation Committee, P. 62. Translated by Ari Goldfield.